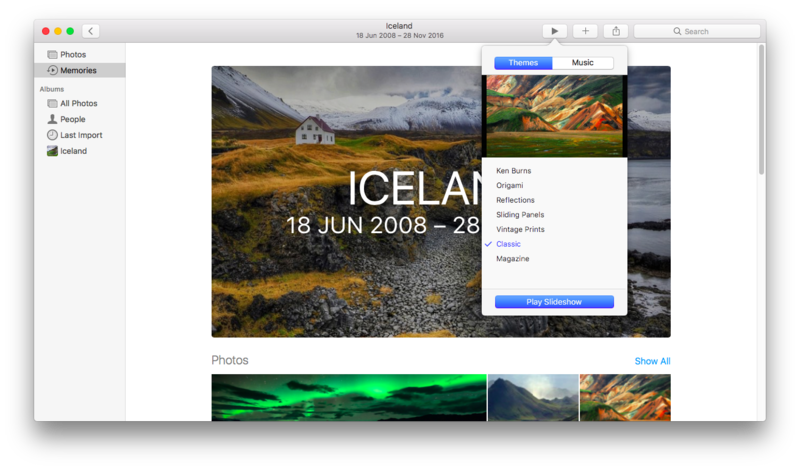 Info › Mac › How to Use Photos Memories in macOS Sierra? 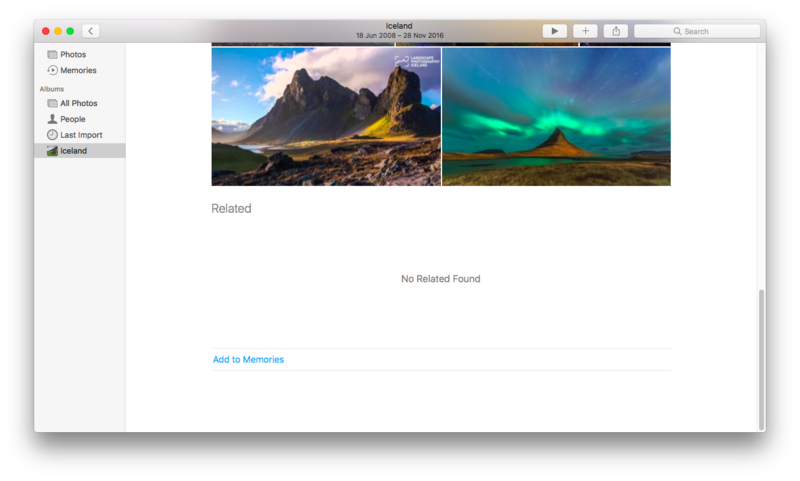 How to Use Photos Memories in macOS Sierra? 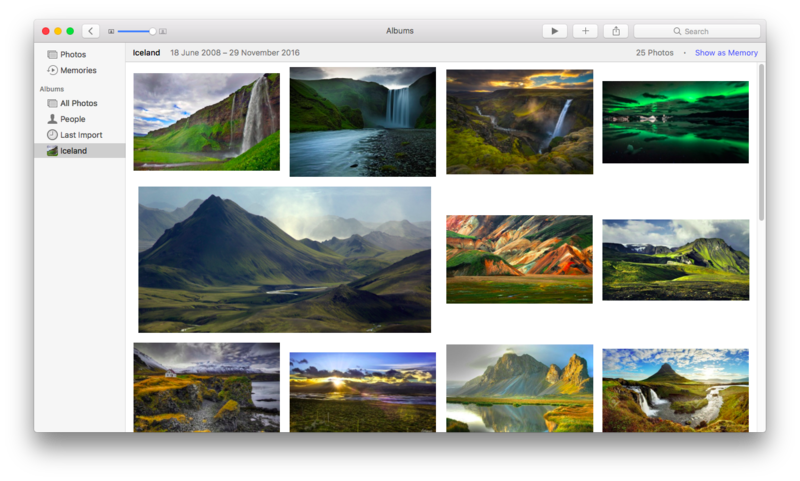 Photos app in macOS Sierra is enriched with new features, and some of them can feel really special for the people who want to see their pictures as wonderful memories. Well, the Memories feature in Photos App helps you to create great slideshows using images/videos taken at different instances. Using this feature, you can add music, incorporate various themes, add different events, and so on. Check on your Sierra’s dock for Photos app. 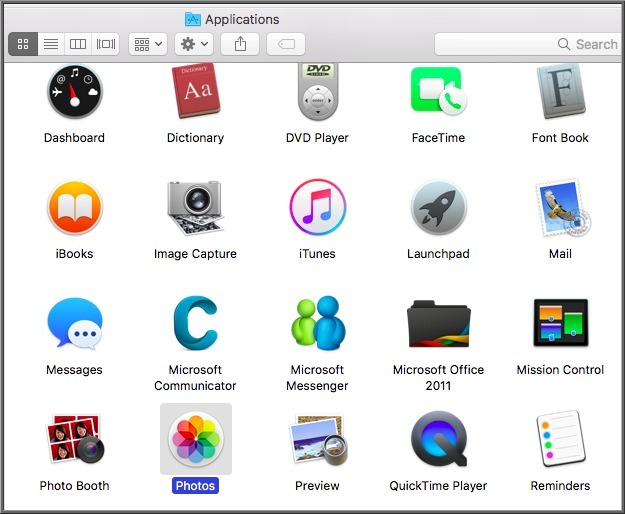 If it isn’t there, open Finder -> Applications and find Photos app. There could be various albums on your Photos app sorted by date uploaded. If there isn’t any, add new pictures and thus create a new album. 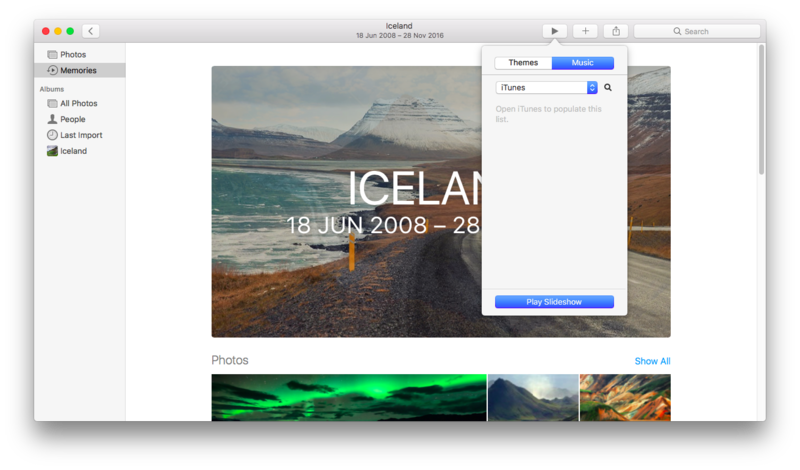 If you’re using Sierra for the first time, it’s also possible to import iPhoto library to Photos If you want to add an album to memories, click Show as Memory on the top right of the window. Scroll the pictures on your album to the bottom part, there you’ll find Add to Memories Click it. Your album has successfully added into memories. Now, it’s the time for the show. Take memories tab, select your event and click on the slideshow button on the top right. 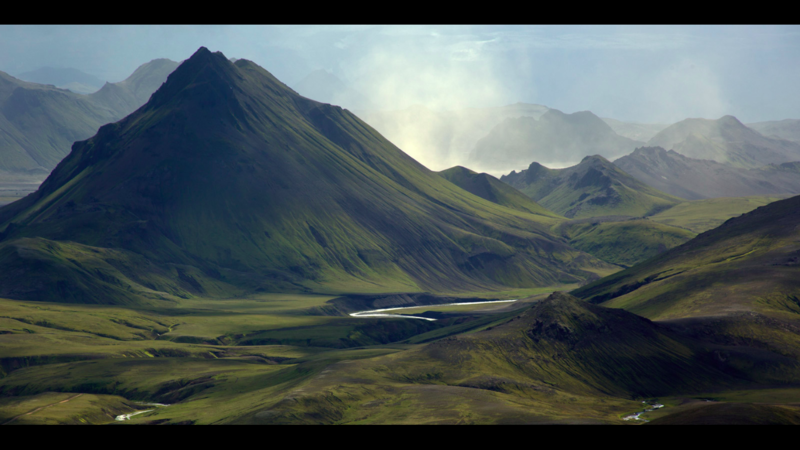 You can choose a particular theme for your slideshow here. You can select one from seven of the available themes. In addition to theme selection, you can also select a music track for your slideshow. By default, it’ll fetch music from your iTunes library. You may have to manually open your iTunes to populate the list to choose music from. The slideshow will start now. If you want, you can move some memories to favorite memories section. It’s also possible to delete some unwanted memories from your library. Hope, you’ve enjoyed this article. Don’t forget to give your comments on this new feature on Photos app if you’ve already used this.